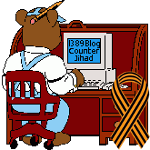 2014 October — 1389 Blog - Counterjihad! in "moderate muslims", 1389 (blog admin), Blogmocracy (colleagues), jihad, Qur'an, UK, WTF? World’s Most Asked Questions: How Can I Get Rid of the Hiccups?